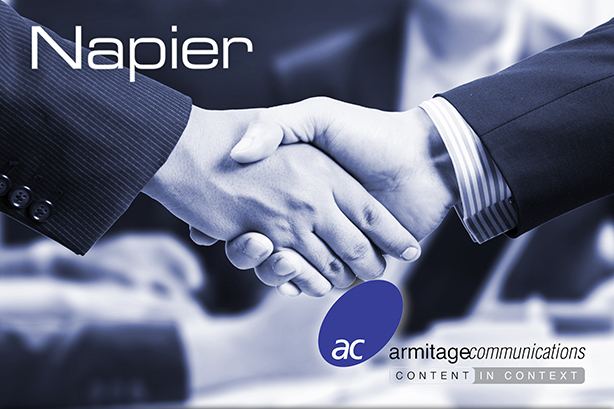 Napier Partnership has merged with Armitage Communications, creating a group of three specialised B2B technology agencies comprising Napier, Peter Bush Communications and Armitage. The group, which has combined annual billings of about £5 million, has a portfolio of clients across a range of B2B technologies and sub-sectors, including semiconductors, industrial automation, software development and communications. The leadership team will comprise of managing director Mike Maynard, who leads the Napier group of companies. Suzy Kenyon takes on the role of director of the electronics practice, while Dave Ingle is director of the industrial automation and IT practice. Armitage Communications founder David Armitage will continue to work within the business, driving the strategy for Armitage Communications clients. "Armitage Communications brings a successful and talented team with outstanding content generation expertise and expands our client base and capabilities in the industrial automation and communications sectors," Maynard said. "By joining forces, the new organisation becomes one of Europe’s leading B2B technology agencies." Armitage added: "Joining Napier is the next step in Armitage Communications’ journey. Napier’s focus on increasing the speed that clients can convert awareness to opportunity, and its extensive marketing automation expertise complements the skills of the Armitage Communications team."